Every day, we have the ability to make a difference, and through our Corporate Social Responsibility (CSR) program – we are the difference. Our commitment to improve lives extends beyond therapeutic cures and to the communities where we live and work. 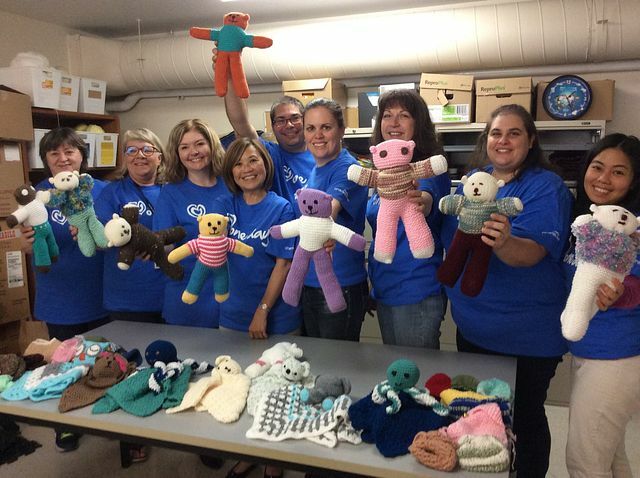 Through both our Global Day of Service and One Day volunteer program, our employees have the opportunity to address humanitarian needs on a local and global scale. On September 14, 2017, Charles River hosted its first annual Global Day of Service. On this day, more than 3,250 employees packaged 1 million meals and assembled hundreds of prosthetic hands. The impact is far-reaching: 7,200 children will have the nourishment they need throughout the school year to learn and 305 below-the-elbow amputees will receive a helping hand. Since 2015, our employees have volunteered more than 45,000 hours of their time through the One Day program. We have partnered with schools in China, knitted blankets for children’s hospitals in Ohio, assembled bikes for under-resourced youth in Reno, and repaired homes in Europe. This is a small snapshot of the many ways we are committed to serving the communities where we live and work, one day at a time. To see more One Day events, visit us on Facebook or LinkedIn. A key area of focus is in inclusive and equitable quality education. In 2017, Charles River launched an academic mentoring pilot program, partnering with a local high school to provide students with tutoring in science, technology, engineering, and math (STEM). We are looking to expand this program across more of our sites. We are committed to ensuring healthy lives and promoting well-being for all ages. It’s in our DNA. Thousands of Charles River employees step into our annual 100-day step and wellness challenge. In 2017, 5,000 Charles River employees walked, biked and swam more than 2.2 billion miles, achieving the top daily step average among the 862 participating companies and reporting a total weight loss of 2.5 tons. 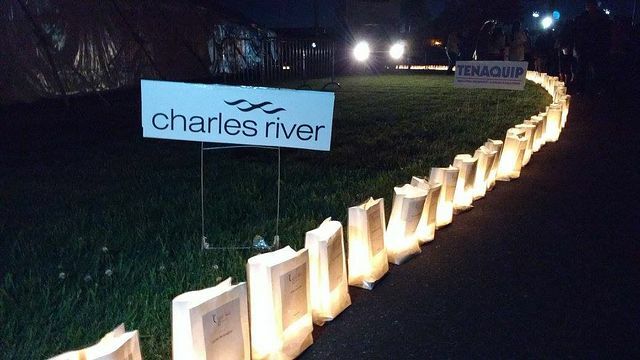 Charles River is a proud multi-site Relay for Life sponsor in support of the American Cancer Society. Since the partnership first formed in 2016, hundreds of employees and their loves ones have attended Relay for Life events in the U.S., Canada, Europe and Asia. Each year, employees participate in site-wide events in support of two therapeutic areas where we are hard at work to help find a cure: Alzheimer’s disease and breast cancer. 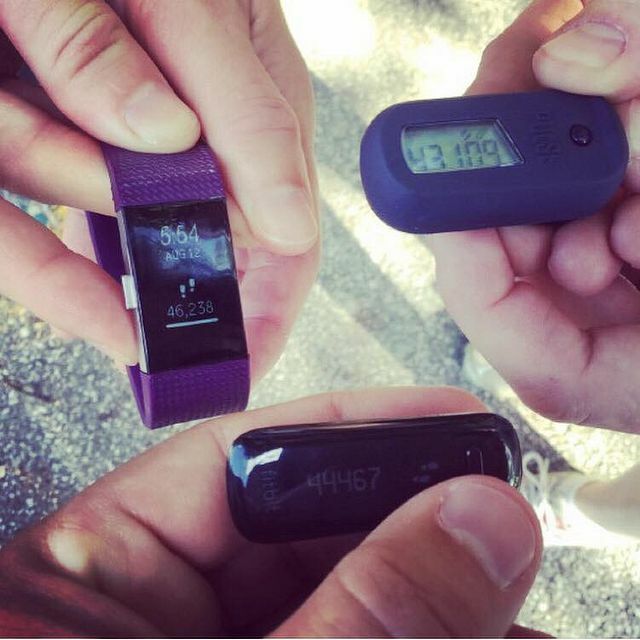 From awareness walks to honoring those in our lives affected by these diseases, we are partnering with each other and with our communities for healthier lives. Sustainability at Charles River Laboratories is built on the same scientific discipline that we are known for in bringing accelerated drug discovery to market: to protect and enhance the quality of human health. We understand that our work involves using the planet’s precious resources. We are focused on looking for new ways to lower our environmental impact from our operations and to conserve and preserve the ecological diversity in all the communities where we operate. Our focus on the environment begins with an awareness of our direct and indirect operations and their impact. We have mapped out our carbon footprint and set emission reduction goals and targets for the next five years. We are deeply committed to mitigating and reversing the effects of climate change. 10% of our European operations will be powered by renewable energy in 2018. We are installing biomass to energy conversions and onsite solar at various US sites. Our operations in Reno, Nevada have been awarded three Green Globes by the Green Building Initiative, attesting to our resource-intensity savings measures. We have avoided and diverted an additional 20% of our waste from landfills globally this year and are scaling to achieve 100% over the next 10 years. Within our animal production facilities, we have implemented green initiatives focused on sustainable production, operations, and delivery. We are strengthening the understanding of our impacts across the life cycle of our drug discovery processes and also extending our environmental stewardship governance by partnering with both our suppliers and clients.